Paul van Dyk issues his annual invitation to head Berlin-bound, in order to pin the final bow on your festive preparations. In the now time honoured tradition, on 19 December, PvD & Co. will once again take up residence in the German capital’s Kesselhaus Kulturbrauerei for a night of clubbing! 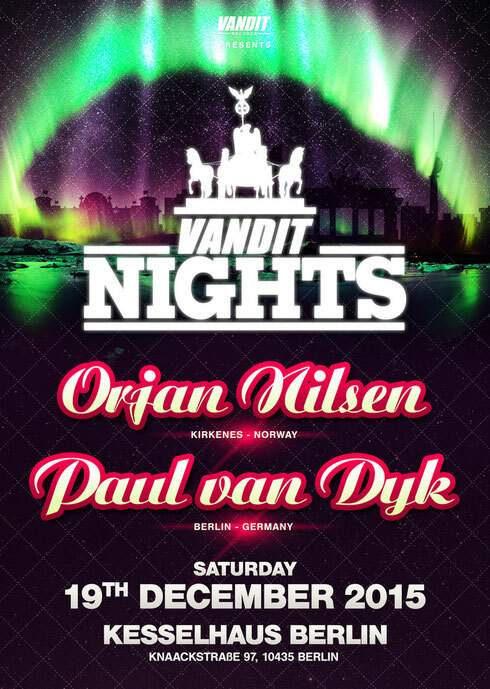 This year, bringing a bit of the Northern Lights to this Vandit Night is Orjan Nilsen. He’ll be making the trek down from the northern Kirkenes lands to Berlin to join in the deck-side jollities. Stoking the clubbing fires higher, PvD himself will be on hand to deliver his annual, seasonal musical ‘address’. The Ibiza’s closing parties are now but a rosy memory and the open-air festival season has pretty much run its course for another year. Hence, the collective eyes of the clubbing world are swivelling in unison to Halloween and then the festive season.